Are you ready to Rumble? 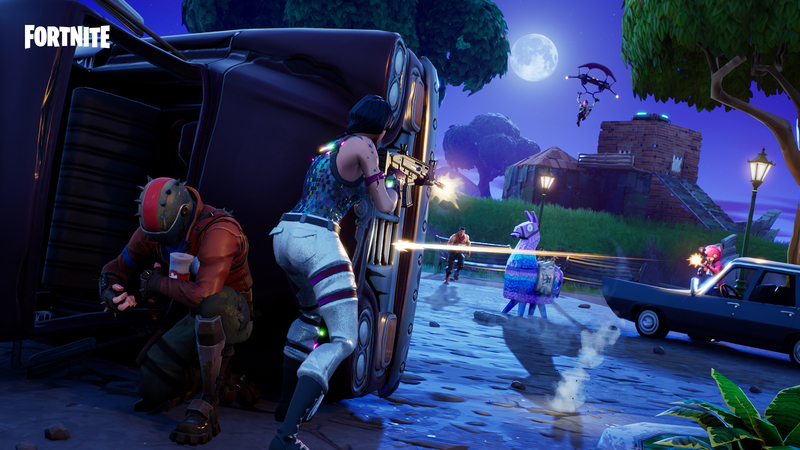 Be the first team to eliminate 100 enemies to earn a Victory Royale in this Limited Time Mode. Discover new rarities for the Pump Shotgun and burst down enemies with these powerful new rarities. Fixed an issue where controller input would become unresponsive when trying to send a whisper to a friend. Fixed a crash on PS4 that happened when attempting to manually leave a party while in the process of joining another party. Two large teams fight for the Victory Royale in an action-packed mode where the first team to get 100 eliminations wins! Two teams of 20 players. Players will respawn after 5 seconds when eliminated, keeping their inventory. Eliminated players spawn a random type of ammo upon elimination, as well as a random stack of either 120 Wood, 90 Stone, or 60 Metal materials. Only Uncommon weapons (or better) are available. The first team to 100 eliminations wins. Available from floor loot, chests, Supply Drops, and Vending Machines. Shotguns will now always apply at least 3 pellets worth of damage if only 1-2 pellets hit the target. 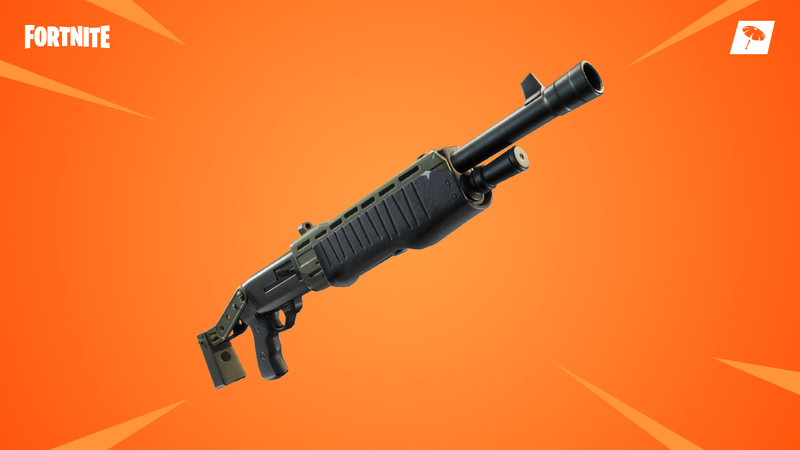 Pump shotguns will do higher damage in shorter range buckets but damage falls off quicker. This means you’ll do more damage to closer targets but less damage to farther targets. Fixed an issue with Chiller effects not applying properly to players’ feet. Added functionality that allows the placement of map markers in the world without needing to go into the fullscreen map. You’ll be able to look at a position in the world and use the “Place Marker” keybind to place a map marker. This command will only be available by default while in Combat Mode. If a certain amount of players are remaining by the time the Storm finishes closing, a Storm Surge will activate. This periodically deals damage to players who have the least amount of damage dealt during the match. Player in-air falling audio cue volume has been increased. Fixed an issue where the Glider in-air audio cue wouldn’t play for players who glide in after respawning.